The first full day of spring was certainly a wet one, and the super soaker left much of the region with some area flooding to contend with. Thursday’s rain fell steadily through the afternoon, with rain totals between 1 to 2 inches in some areas. 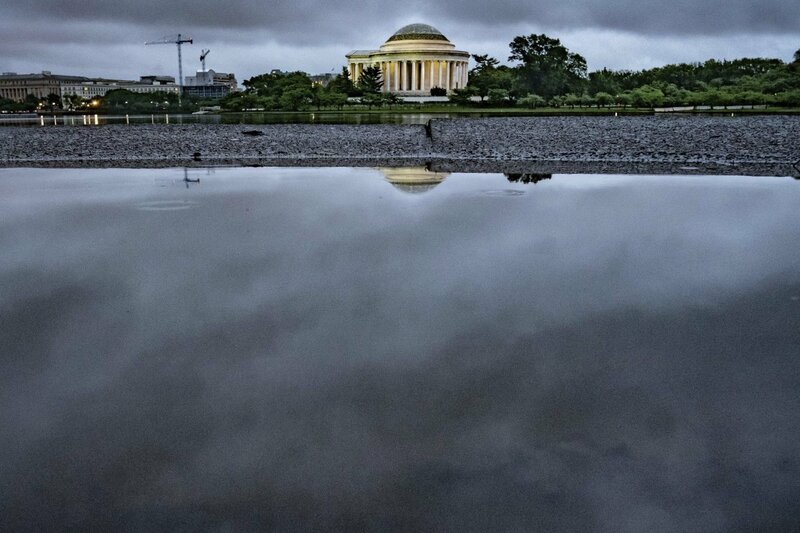 The National Weather Service said residual runoff may persist through the late evening. The heavy rainfall may cause streams and creeks to go out of their banks and cause flooding of low-lying, urban and poor drainage areas. Those living in areas prone to flooding should be prepared to take action in case of flooding. Some area roads are closed due to flooding. For the latest traffic conditions, visit WTOP’s Traffic Page. The rain tapered to showers in the evening, and it is expected to end before midnight. But winds are expected on Friday, averaging 20 to 35 mph. THURSDAY NIGHT: Windy and chilly. Temps in the upper 30s to the low 40s.